In the past month of March, I had the lovely opportunity to attend two makeup brand launches and the packaging of these brands are gawj. 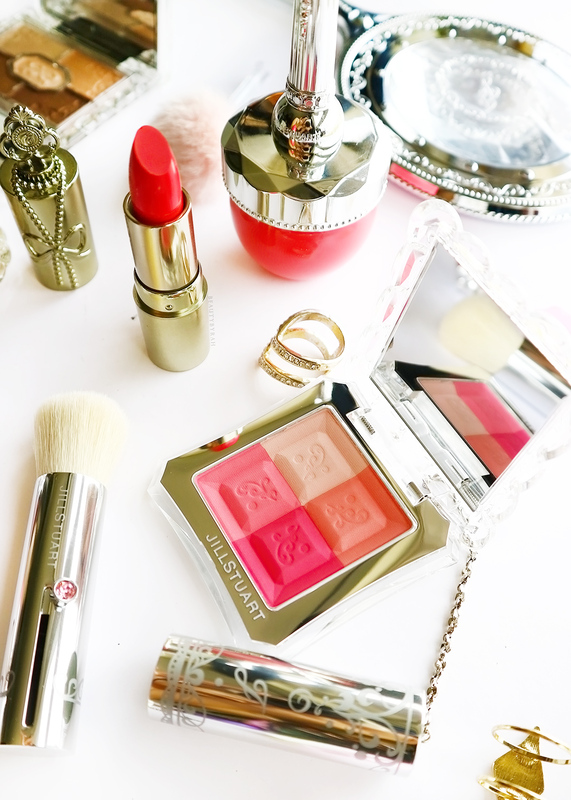 These brands are... *drumroll* Jill Stuart Beauty and Eleanor Makeup. I have to admit, I rarely justify paying extra for gorgeous packing. Personally, I'd focus heavily on product formulation as well as how it looks and wears on the skin. Despite that, I still have to admit that I am very impressed and attracted to the packaging of these items before me. As I grew older, I quickly realised that quantity should not be the focus and quality is greatly appreciated. When I first started, I was all about that gimme more, more, more... but now, as I would like to classify myself as finally being an adult, sometimes paying more for quality goods rather than splurging on buying tons of the same kinds of product resonates more with me. 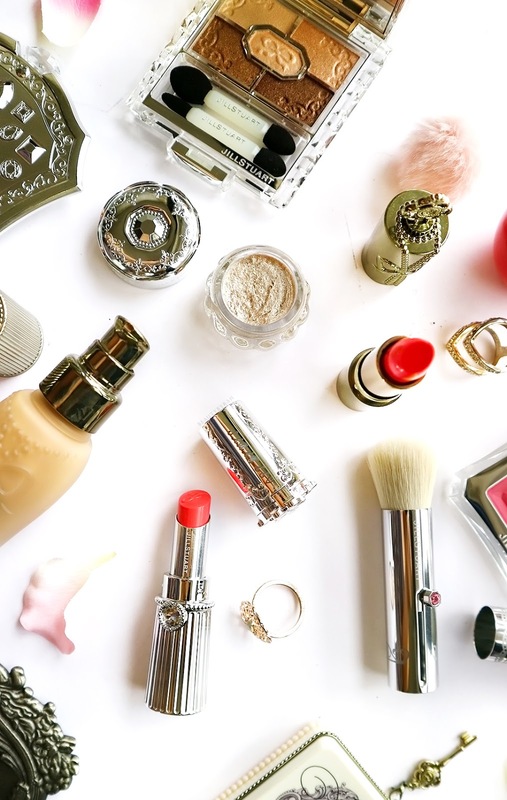 If you're a fan of quality and wouldn't mind spending some moolah on makeup that works great on the skin and looks good on your vanity, these might be just for you. Let's begin with the epitome of elaborate and beautiful packaging - Jill Stuart Beauty. 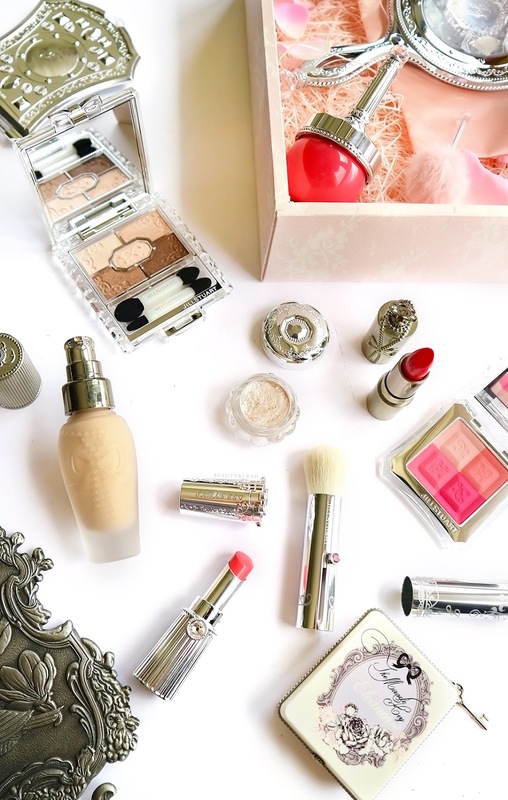 Many brands are classy and modern, but whenever I think of really intricate designed products, a Jill Stuart makeup item would cross my mind. 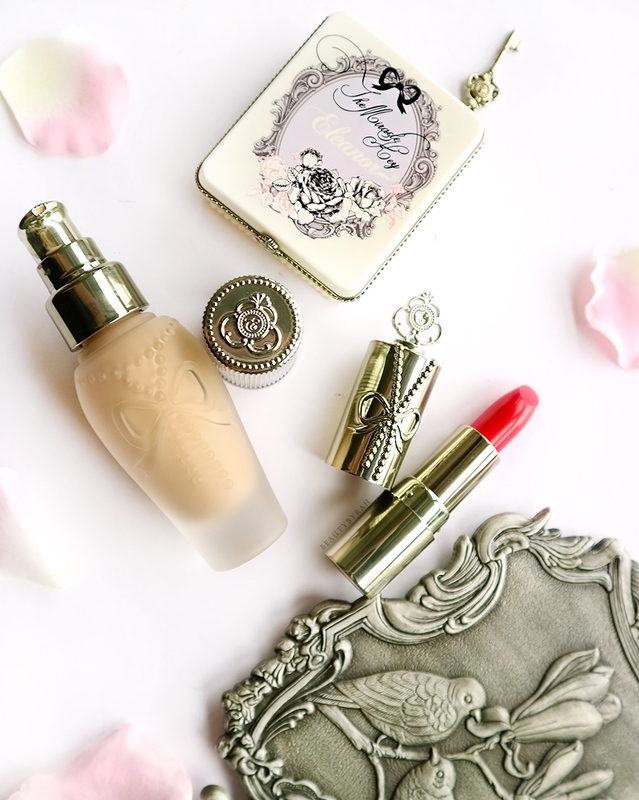 These items are stunning and I was in total awe when I entered the room filled with the full range of cosmetics from the brand. I admit, these products are pretty to look at but I was skeptical as to how they would perform. However, after swatching the products to my heart's content, I have to say that I am definitely impressed and a convert. Jill Stuart Beauty revolves around the concepts of innocence and sexiness in women and fine tuned with elegance and femininity. 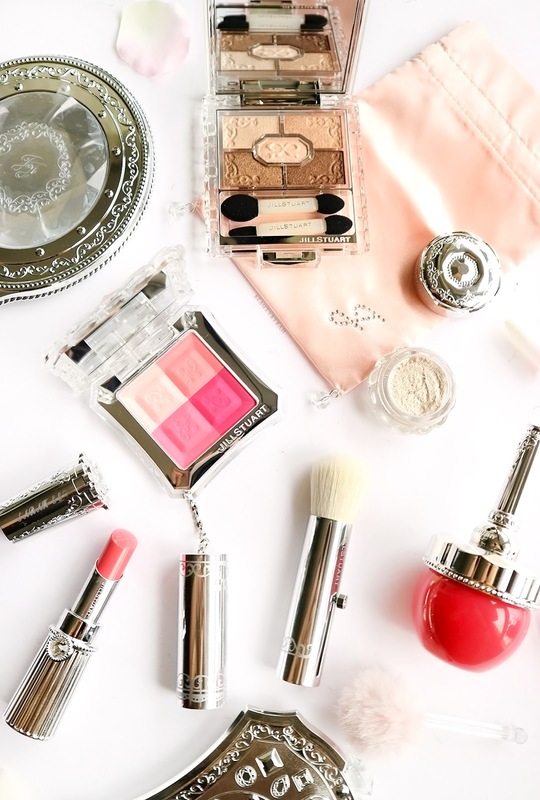 The products gave me a classy, elegant vibe with its reflective silver packaging and the myriad of shades aren't too over the top and are extremely feminine and wearable. The products also include their signature ingredients of rosemary extract (anti-aging and inhibits sebum production), lavender oil (eases inflammation), rosehip oil (anti-aging) and wild rose extract (hydrating, anti-aging). Two products really stood out to me, and that would be their Mix Blush Compact and Jelly Eye Colour. The Mix Blush Compacts aren't powdery and one thing I realised upon swatching them was that the blushes have a satin finish to them, thus leaving a natural glowy finish to the skin. 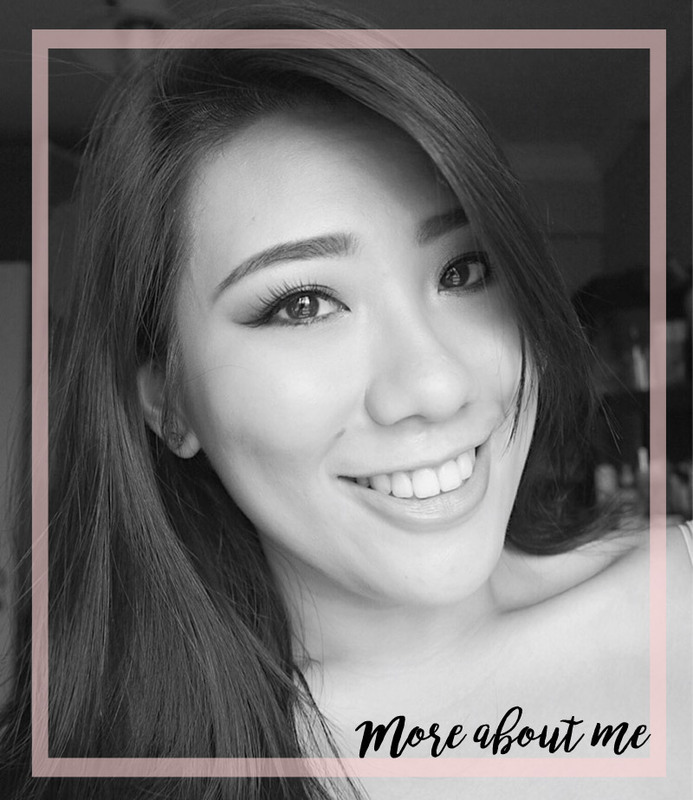 I played around with them and i found that they did not emphasise any texture on my cheeks and the sheen isn't too much such that you look oily. These gave me such a feminine vibe and despite some variations having brighter shades, when applied to the skin, it isn't too pigmented and leaves a healthy flush. Featured here is the shade 07 Sweet Primose and it's a truly stunning warm toned pink shade. The other item that made me extremely intrigued was their Jelly Eye Colour. I have worked with so many cream shadows but this was something I've never felt before. This, as the name suggests, is bouncy to the touch and is highly viscous (like a jelly!). These are pigmented and pretty sparkly, and I found that they work so amazing in either using them on their own over the lid or over an eyeshadow as a glitter lid topper. They do have chunks of glitter in them so application with a finger works best in my opinion. 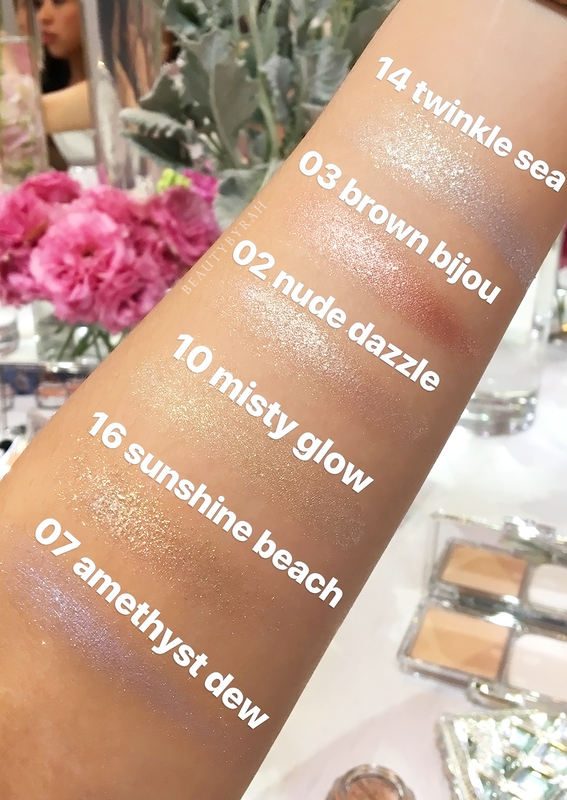 I managed to swatch a few (featured above, from my Instagram stories)and my goodness, I was pretty much in glitter heaven (and that is coming from someone who isn't too big a fan of glitter!). Jill Stuart Beauty just launched in Sephora Singapore on 29th March, so do drop by and get your wallets ready if you're interested. Next, we have Eleanor. Their tagline, Being Beautiful never goes out of Art, hints at their focus on the aesthetics of their packaging as the brand is designed to incorporate makeup with art aesthetics. The products' packaging give off a mid century classical vibe in my opinion and isn't too elaborate.The pewter covers of the products are made from plastic so that is also something to keep in mind. I received quite a few items from them to try and I have to share with you my favourite item out of the bunch. The Miracle Key Hydra Liquid Foundation has brought me out of my no foundation phase recently and one reason being that this looks extremely natural and feels lightweight on the skin. Ever since going foundation free, I got used to the feeling of letting the skin breathe without much product onto the skin. Even though this foundation is an additional layer to the skin, my skin does not feel heavy and it is comfortable to wear. This high-tech foundation claims to transform instantly from liquid to powder to create an all-day finish that camouflages imperfections and controls the secretion of sebum. This foundation also contains skincare ingredients such as rosemary leaf extract, glycine soybean seed extract and hydrolysed conchiolin protein to help moisture the skin and provide anti-aging properties as well as belamcanda chinensis root extract and chamomilla recutita extract to provide whitening properties. In terms of coverage, I would say that this is light coverage that can be built up to a light-medium. My imperfections still show but I am alright with that as spot concealing would do the trick. Sebum control isn't fantastic, but it does control my oils more than some hydration foundations that I've tried. I manage to get a good 8 hour wear with this without it being splotchy and even though I do not touch up, only my T zone looked shiny but it wasn't frying pan status. If you are interested in picking an item up from this brand to try, I would recommend you trying this in stores and seeing how you like it. One caveat though, this foundation is SGD 80 for 30 ml which in my opinion is slightly on the heftier side. Eleanor makeup products can be found as Sasa Singapore if you're interested. I'm so thankful that I had the pleasure of viewing and playing with these before they launched and I hope these beautiful makeup goodies brightened up your day as they did mine! Do check them out in stores, swatch them and see how you like them before your purchase as these are quite the investment. For now, these are taking their pride of place on my vanity as they make me feel fancy and to remind me that I am a classy woman. Have you tried Jill Stuart Beauty or Eleanor before? **These makeup items were gifted after the launch event.